In addition to our 3d photo montage, photo restoration and video production services, we transfer VHS, Hi8, Mini DV, HDV tapes to DVDs, or up convert to HD. In addition, we also denoise and enhance your video clips as shown in following clips. After some extensive research, we have finally come up with an ideal encoding solution in order to play your 3d photo montage clip in digital picture frames. This solution will allow your video to play smoothly at its best possible resolution. For a limited time, you will get a digital photo frame for FREE (a $170 value) when you order any video production service from our website. We will retouch and customize your photos and your 3d photo montage video highlight clips to be displayed in the frame, in addition to a custom DVD. A full feature digital photo frames show off your memories on a HIGH 800×480 RESOLUTION SCREEN encased in a custom frame. The highly stylized digital photo frame accents any room with your personal memories in a beautiful frame. It’s the perfect gift for any special occasion or as a gift for friends or loved ones. 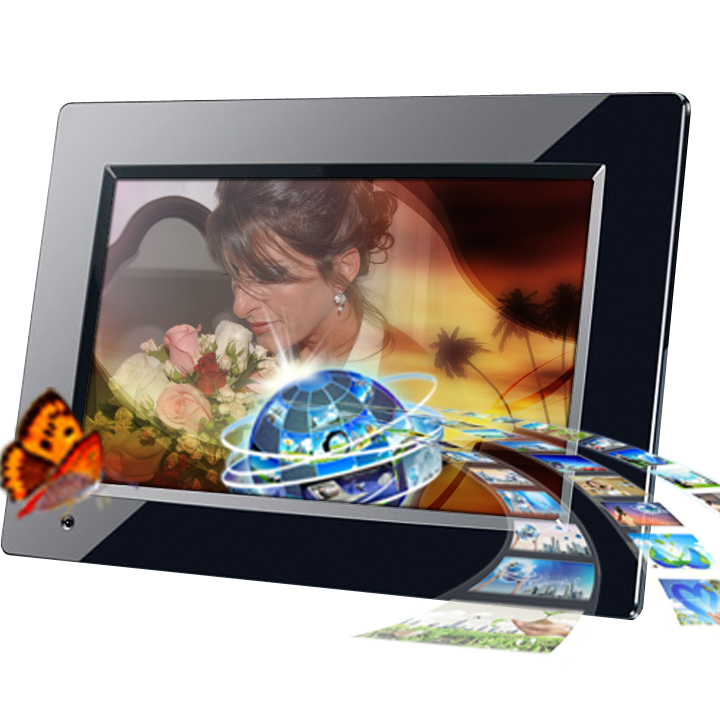 Showcase for a Digital Picture Frame with Custom 3D Photo Montage Clip.